Guide Shaggy and Scooby through a series of interactive action and logic based puzzles. Horror on the High Seas: Episode 1 - The Ghost Pirate Attacks Help Scooby and Shaggy get to the bottom of this mysterious pirate caper. WATCH the scenes for valuable clues. COLLECT inventory items to help you overcome obstacles. KEEP your coolness until the end of the episode. Starting Tip - Pick up plank of wood by walking up to it and press spacebar, then go to swimming pool and place it down on the marked spot with spacebar. Then walk on it and jump with spacebar. Then get scooby to ring the bell for a diversion. Then jump down the left hand side rope with the flags. Game name: Scooby Doo - Episode 1 - The Ghost Pirates Attacks! If you want to play Scooby Doo - Episode 1 - The Ghost Pirates Attacks! games online you have come to the right place! 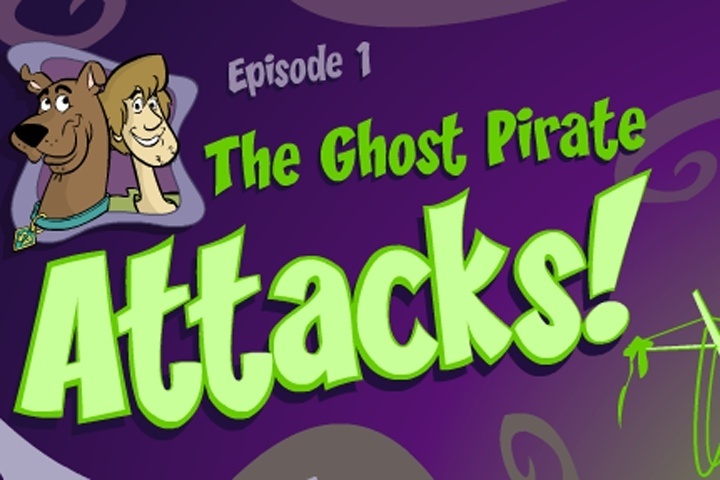 GamesLoon adds new Scooby Doo - Episode 1 - The Ghost Pirates Attacks! games every week. This is your game portal where you can find the biggest collection of free Scooby Doo - Episode 1 - The Ghost Pirates Attacks! games online. Do not forget to rate our Scooby Doo - Episode 1 - The Ghost Pirates Attacks! free online games while playing!